I have had the most brilliant January having announced my going solo and receiving tremendous applause from my client base. Thank you – I love you too! And just about everything was conspiring to please me – then today … a massive shift. Apart from being a little bit over tired after the launch of THE Entrepreneur Hub, and a little bit too much wine to celebrate … today has been a catalyst of several one minutes too late. I’d planned to catch the 6.10 (am in case you are wondering) ferry from Hythe to Southampton. 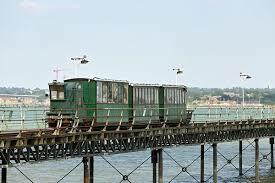 I missed it by a minute – pier train rattling down the tracks. Pah! No real problem as I always leave myself with contingency time …. just in case. So caught the next ferry a half hour later but the connecting bus to Southampton mainline station didn’t arrive. Twitching a bit, I decided to take a taxi – and offered two others with whom I had been talking to, in the queue to share the cab with me. Very nicely they paid – and I don’t know their names but if … for some obscur reason they do pick this Blog post up … Thank you! I went to the online booking kiosk to get my ticket. Eeek – why do they make these things so complicated? The 7.30 train to Waterloo left just as I was working out which platform I needed to be on. OMG the contingency time was being irrevocably eroded. Then next! Some serious disruptions due to signalling failure at Clapham Junction was going to delay me even further – I was told. Pah! I phoned and text all sorts of apologies. Then, after another one minute tube train miss, I finally made my destination – one hour and 15 minutes later than planned. Not the way I like to make an entrance. Luckily, the Non-Exec Directors update session itself was well worth attending and the wine in the bar afterwards engendered great networking … but I should have left half an hour earlier as … when I got back to Southampton, I had missed the last bus. Shrugging, I took a taxi to the ferry to find I’d missed the last one by … yes … one minute!